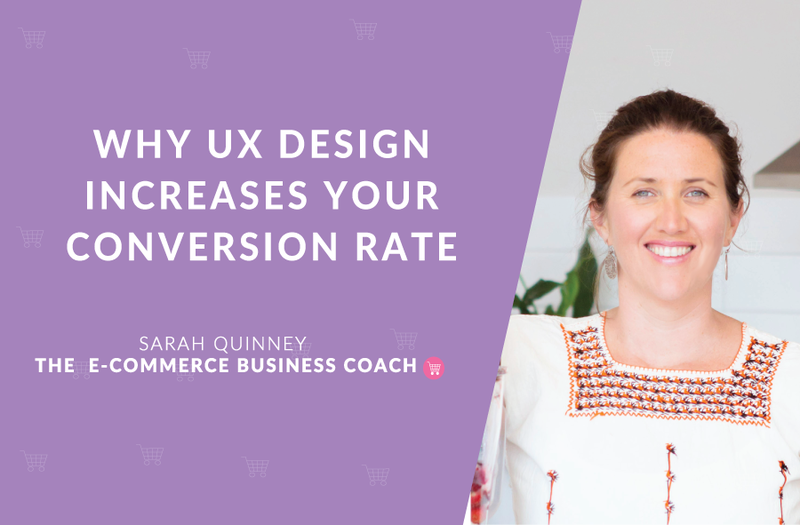 Have you ever thought about how crucial design is for your E-Commerce store? If not, it is definitely time to give that thought some brain real estate. When I say “design,” I am talking about more than just the layout and basic visual elements. Instead, I’m referring to the way that your website works for the user; the way the user is able to come onto your website and navigate through the pages with ease and delight. I’m referring to User Experience (UX) design. UX design is the focus on usability within a website. It is a combination of user needs, business goals, and the presentation of information. If the website is not easy to use, does not achieve the business’s goals, or does not present the required information, the UX design has failed. How can we make the user’s interaction as smooth, simple, and intuitive as possible? UX design is all about how the user is able to use your product. If a user cannot easily navigate your website and find what they are looking for, they will leave. The chances of them sticking around long enough to purchase something become slimmer and slimmer with every passing second. The inability to navigate a website creates user frustration, and user frustration is not ideal for business. For this reason, you should be investing ample time and resources into getting your UX design in tip top shape. Finally, there are a bunch of core UX practices that you can begin implementing today in order to easily improve the UX design of your site. From considering user flow and intuitive patterns through to creating a responsive design, these basic UX guidelines will familiarize you with this crucial design practice. In order to design an effective website, you need to know what your user’s flows will be. Look at your target market persona and imagine the series of actions they will take on your site. After you know this, you can design your website accordingly. Furthermore, to optimize your website based on the user flow, work on implementing a design that encourages the user to complete a task. For instance, since the scenario above illustrates the user checking out the “New Arrivals” section of your site, consider placing “New Arrivals” imagery at the top of the page. Guide the user throughout your website in a way that encourages them to go from point A to point B. Task: Are all of your website elements where the user needs them to be? Look at your site from an outside viewpoint and tweak things according to your the journey you expect your user to take. When designing (or updating!) your E-Commerce store, pay attention to what goes above “the fold.” The fold is the part of the website that the user sees without having to scroll down. All of the content presented in this section should be important and immediately tell the user what they need to know. Additionally, the content should make the user feel that the remaining content on the page is important, prompting them to scroll down. Immediately tell the user what they need to know by placing any pertinent information right in their view. This information could include new arrivals, sales, look book images, etc. You could implement all of this information with a slider image! Many retailers take advantage of this to tell their user about a bunch of things at one time. Task: No matter what content you choose to highlight above the fold, be sure it grabs the user’s attention and tells them what they need to know. It is great to incorporate intuitive designs into your website. This speeds up the design process (placing things in common patterns is easier than creating them originally), and it makes the website easier to use for your audience. Think about browsing a clothing website. If you need to access the items in your cart, where do you look? The top right corner, right? 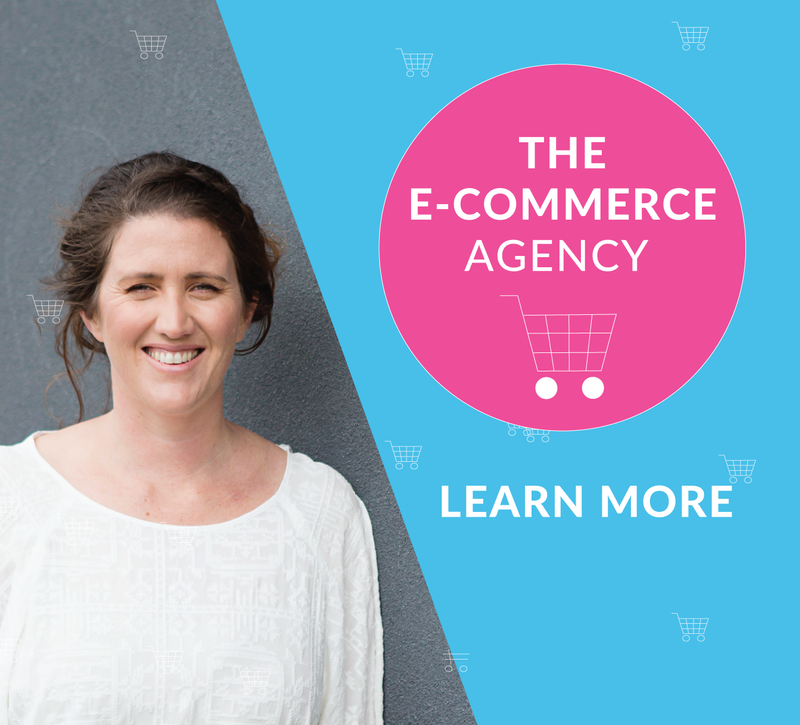 Typically, shopping carts are always placed in the top right corner of E-Commerce websites. Because this pattern has become so common, users are able to intuitively locate their items without even giving it a second thought. The same goes for many other website elements. Typically, navigation options, search bars, and contact information are all in the same place on virtually any website. Implementing common patterns saves time for both the designer and the user, because the designer doesn’t have to come up with a new concept, and the user doesn’t have to learn anything new. Task: Switch up your design to implement common patterns to make the user journey a bit simpler for your audience. Small visual design details are important for more reasons than just aesthetics. 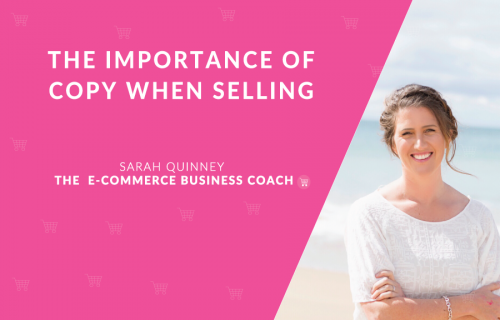 There are a gaggle of things that should be taken into consideration when choosing the “pretty” parts of your E-Commerce store, but here are some of the basics. When choosing which typefaces to use throughout your site, remember to focus on legibility. Is this a typeface that the user is going to be able to read easily? What about users with vision impairments? Is the weight of your chosen typeface acceptable? Choose your fonts in regard to their legibility, weight, and overall styles. Be sure your fonts are easy to read. Avoid tight, condensed fonts, especially for paragraph copy. Don’t italicize too frequently. Italicized words are harder to read, especially for those with vision impairment. Don’t go crazy with a bunch of different typefaces. Instead, stick to 2-3 to keep things safe. Use a certain typeface for headers, a certain typeface for paragraph copy, and perhaps a third for other elements, such as CTAs. Take your line spacing into consideration. When lines are too tight, it can be difficult to read them, especially when going from line to line. Consequently, this can be frustrating for users. Have you ever been reading something and accidentally read the same line twice? Narrow line spacings can nearly guarantee that your user will experience this. To keep things safe and improve the user’s experience, consciously choose the line spacing. When creating bulleted lists, give the lines a bit of extra padding to aid in legibility. There are a bunch of things to take into consideration when choosing your E-Commerce store’s color palette. Choose colors that both complement each other and support the goals of your business. All colors mean something and provoke certain feelings, so take this into consideration when choosing your website colors. Keep your CTAs consistent by using one color for those throughout the site. Use that color for only your CTAs in order to create familiarity with your user. Additionally, for awesome palette ideas, Adobe provides a great resource. Task: Carefully select colors based on the mood, feel, and style of your brand. Research color meanings and choose combinations that provoke the feelings that you want your customer to experience. Your website must be organized in a way that makes sense. Users have to be able to easily find whatever they are looking for. For example, if your user is in need of new shoes, can they access that product category easily? Is there a specific navigational option that will take them where they need to go? Is the process intuitive? You want your user to be able to get where they need to be as easily as possible and in as few steps as they can. Results for “Shoes” or something along those lines should take no more than 2 clicks. Be sure that your website makes sense. Task: Complete a website audit. Is your content easy to navigate? Determine a few common user scenarios, and act them out. Is it an intuitive process? Make any necessary changes and improvements. Having a responsive website is extremely important. A responsive website is one that adapts to the device being used. This means that when someone switches to the mobile version of your site, the website accounts for that screen size and adjusts all elements accordingly, in order to best suit the user. Images and buttons are resized, content is reorganized, and the experience changes to fit the user’s chosen device. Have you ever visited the mobile version of a website, only to find that the webpage looks exactly the same as it does on a computer? The page is essentially shrunk down to a quarter of the original size. The navigation is nearly impossible to use, you have to zoom in to read, and it is an overall awful experience. This is why responsive designs are so important! In today’s world where more than half of internet use is completed on mobile devices, it is important that your website is able to accommodate that demand. 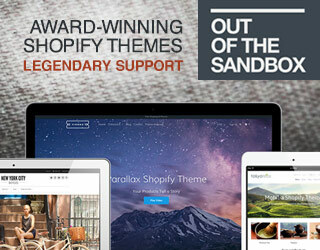 Task: Implement responsive designs into your E-Commerce store. Most website services (such as WordPress and SquareSpace) allow for automatic responsiveness. Be sure to take advantage of that. Over time, trial and error will allow you to craft the best website possible. As you get feedback from users, you will be able to learn and grow through implementing ideas and designs that better suit your audience. To get feedback faster, consider having some users test out your website. Present them with tasks, and let them go through the process, providing you feedback along the way! In presenting the user with this scenario, observing their actions will allow you to locate any pain points. Perhaps the user arrives to the pants page, but is unable to figure out how to narrow his search to all “khaki” pants. In seeing this roadblock, you can tweak your website accordingly, perhaps adding a clearer color selection option. User testing is a fantastic way to get feedback, and all companies who implement UX design spend some time on user testing. Many companies choose to launch beta versions in order to get in-depth user feedback before launching full-on products! They test over and over again before launching, and therefore they are able to get the feedback needed to make the best possible product. Task: Test your website! Recruit individuals from your target market and have them try to complete a few scenarios. Getting feedback from your actual audience will prove invaluable, as you’ll be able to see specifics surrounding your user’s needs. After testing, you will have a much clearer idea of which changes to make. UX design is absolutely invaluable when it comes to website success. More and more companies are implementing and seeing incredible results. It is truly worth it to invest time and energy into the process! No matter the styles and designs that you decide to implement, be sure that you are doing it throughout your entire site and with the customer in mind. Keep design decisions consistent, and keep them thought out. Above all, through implementing the above recommendations, you will be well on your way to creating an enjoyable UX for your audience. 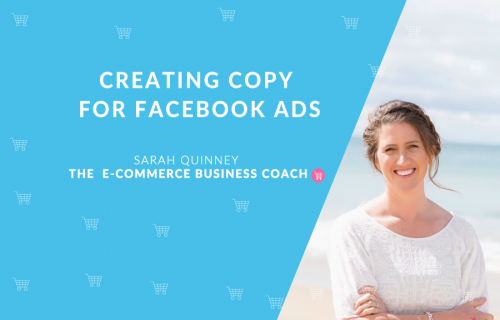 I can’t wait to see the amazing updates you are able to bring to your website with these recommendations! P.S. 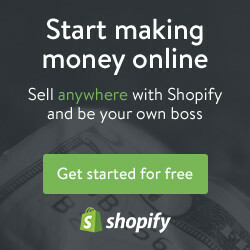 When you are ready to grow your e-commerce business? 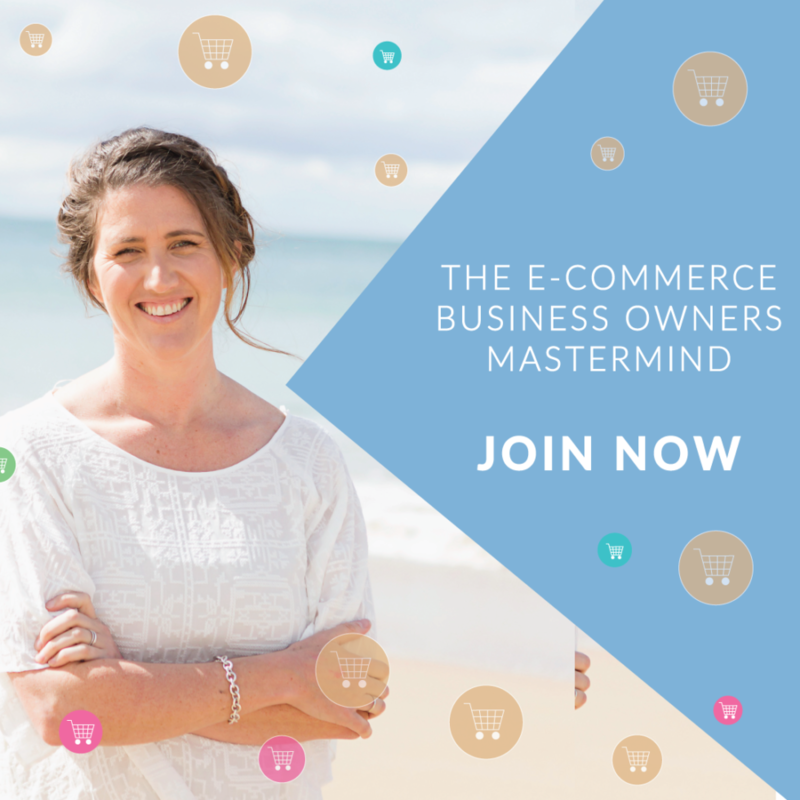 1.The E-Commerce Women In Business Mastermind – Your E-Commerce Membership Community with hands-on support with my dream team to start and scale your online store. 2. 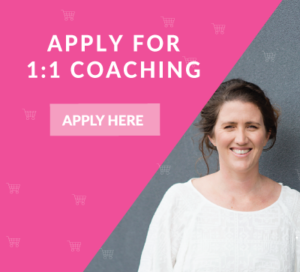 VIP 1:1 E-Commerce Coaching – My Blue Ribbon and Private 1:1 E-Commerce coaching for established brands looking for next level growth and support. 3. 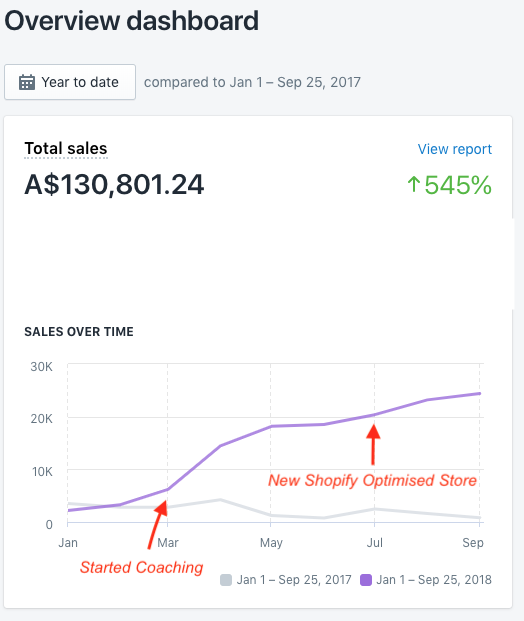 Facebook Ads for E-Commerce Stores. 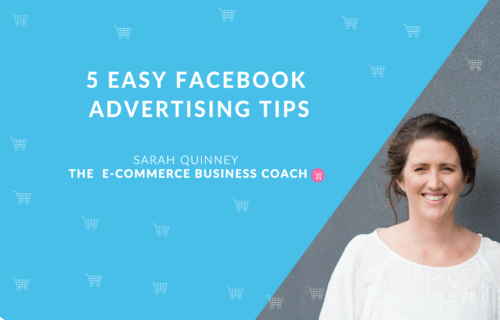 Learn or how to manage your own ads or employ our Facebook Ad Strategist to scale your brand.